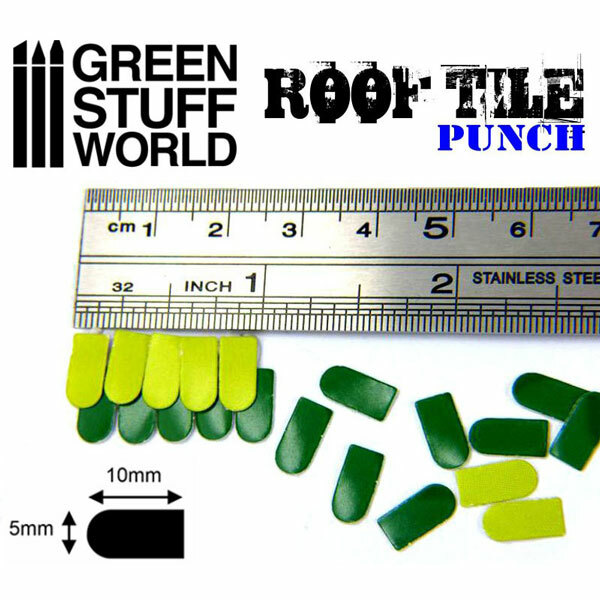 Miniature ROOF TILE Punch perfect to create miniature tiles compatible with scales 1:76 1:48 1:43 1:35 1:30 1:22 . 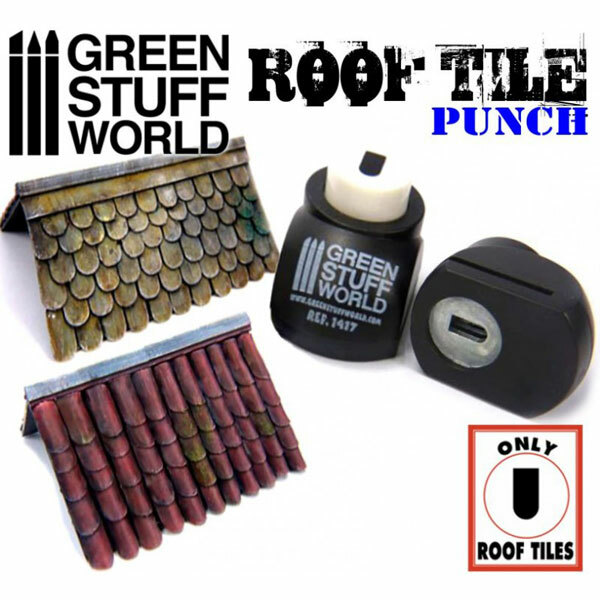 You can use various card board, paper, flexible metal foils, 0.5mm plasticard, 1mm Foamed PVC, among other materials. 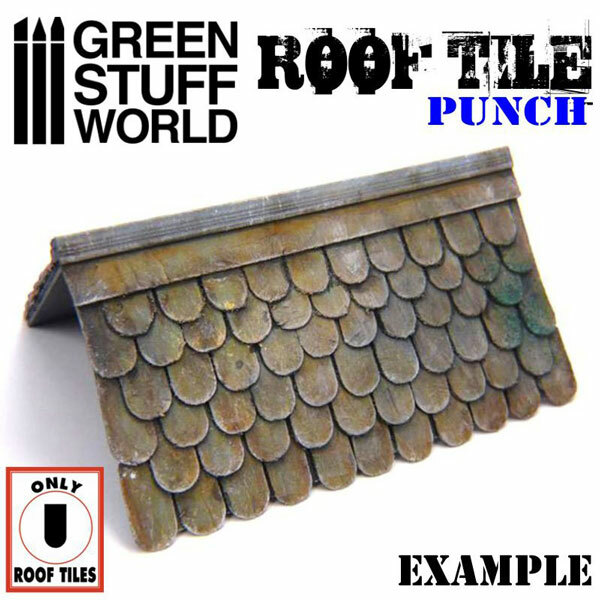 Flexible metal foil tiles may be curved.